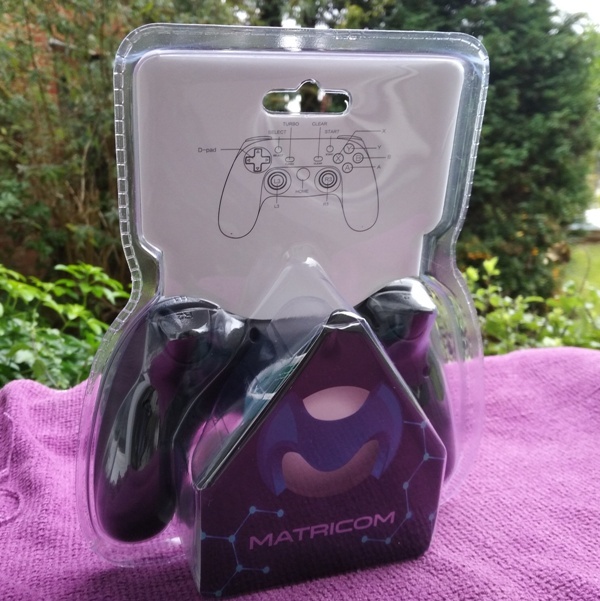 Matricom GPad XYBA Wireless Wired Controller! 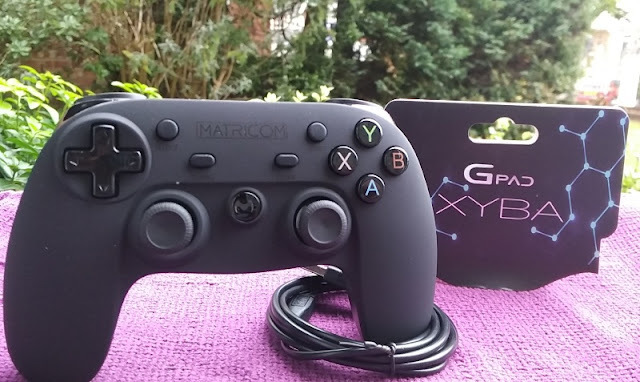 A game pad controller like the Matricom Gpad XYBA is the perfect solution for gaming on the couch! You can play emulated games on your PC or Android phone and also hook it up to a PlayStation 3 (PS3) console. 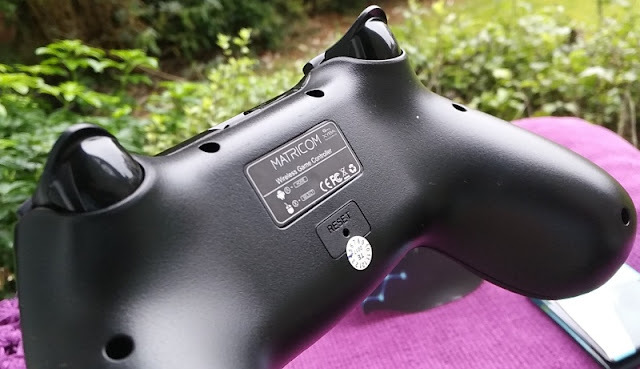 Talking about PlayStation, the Gpad XYBA Bluetooth gamepad has a PlayStation styled button layout with joysticks very similar to the joysticks on a Xbox One controller. 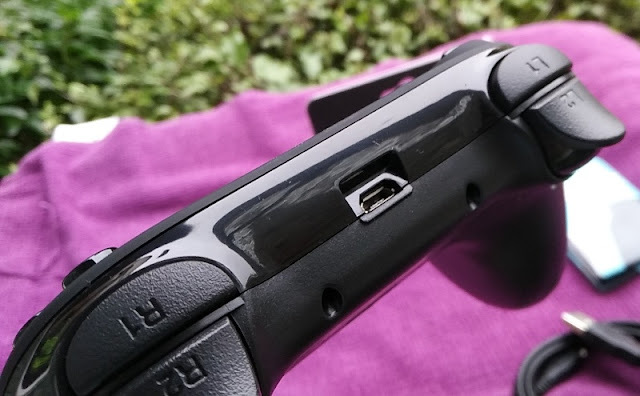 The charging micro USB port even has a similar position to the PS3/PS4 controller. 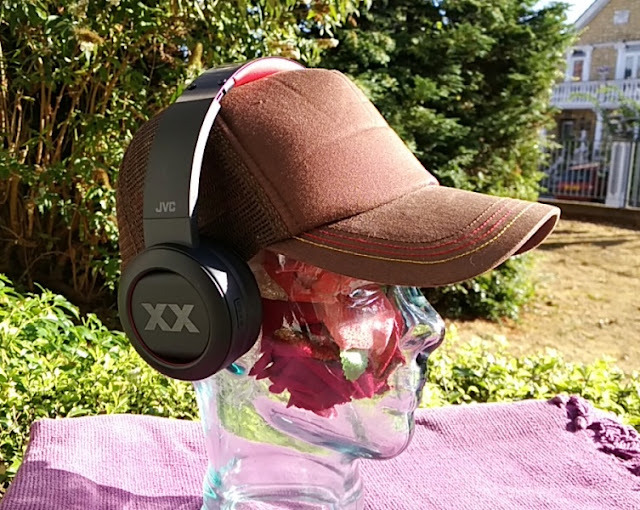 The included micro USB cable makes charging the 600mAh rechargeable battery that is built-in the XYBA controller easy. 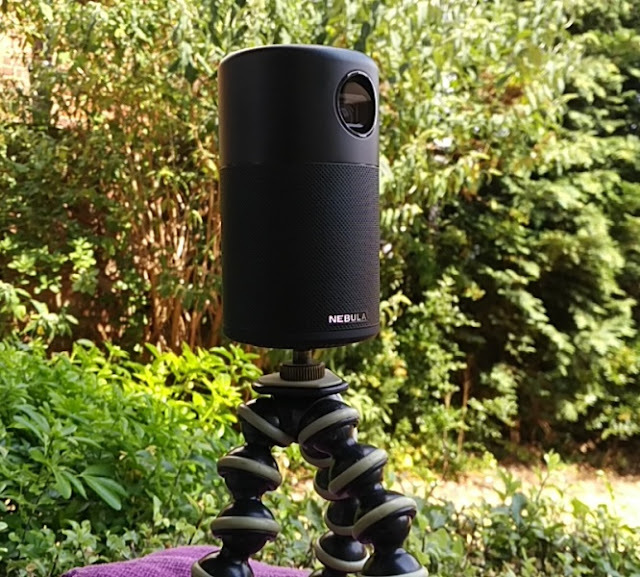 Full charge takes around 2.5 hours. 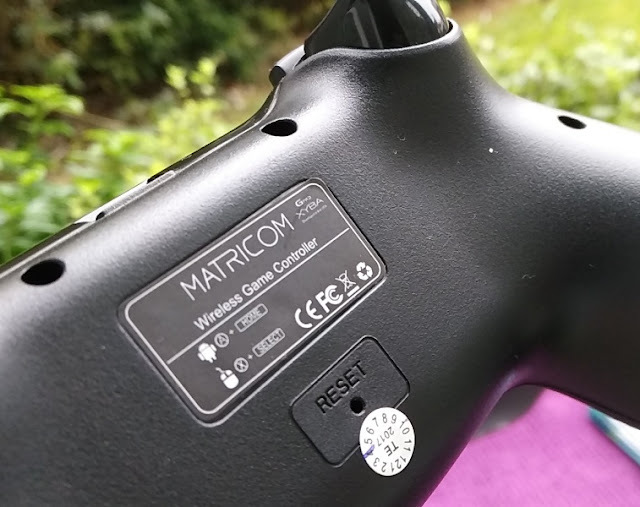 The dpad, front bumpers, back bumpers, left/right thumbsticks and the other buttons on the XYBA controller have good sensitivity and resistance with the right amount of give and travel so buttons presses don't feel too 'clicky' nor too mushy. The small buttons in the center of the Gpad XYBA controller are rubberized to prevent your finger sliding off, which is a thoughtful touch. 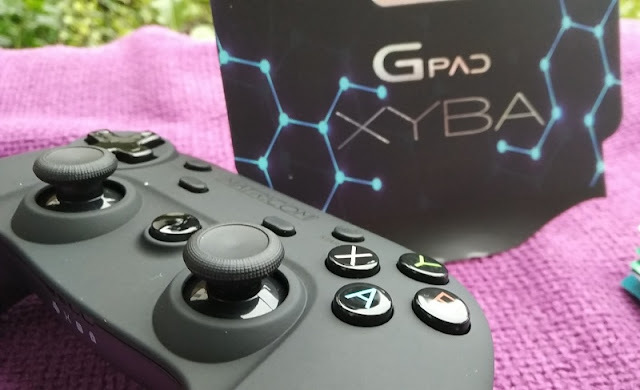 The rubberized plastic top surface of the Gpad XYBA gamepad feels good in the hands even after several hours of use thanks to the sweat resistant coating. 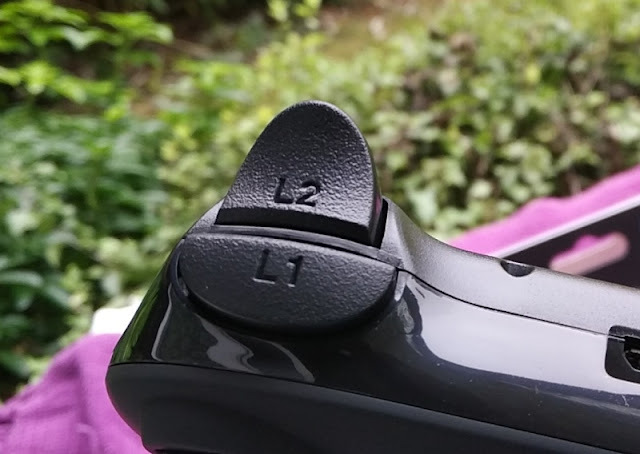 The thumbsticks have enough surface area for the thumbs so they're comfortable to use even first person shooter games. 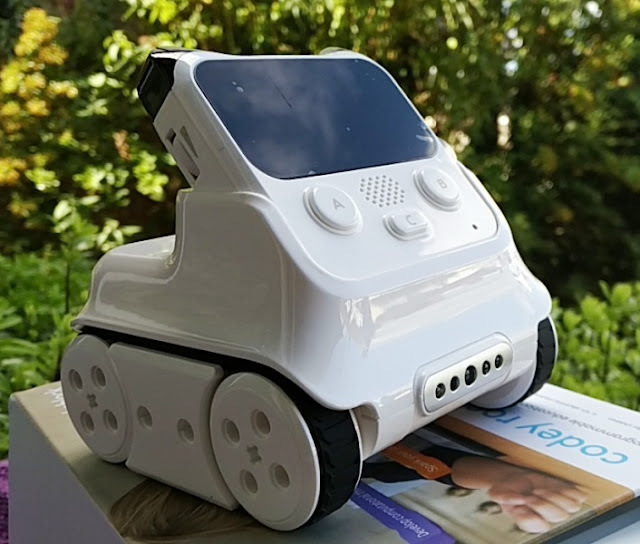 The controller has four LED indicators. 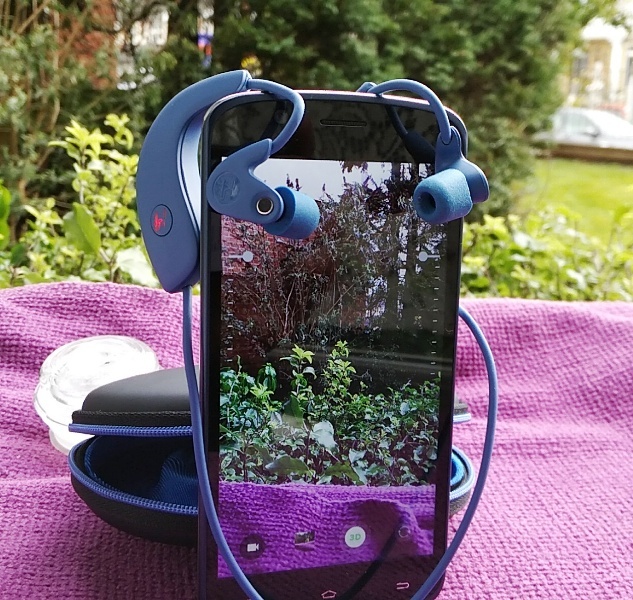 From left to right, the LED indicators refer to Android Mode, Xinput Mode, Apple Mode, Mouse Mode, charging light. In Apple mode, you can play the old generation of Apple IIGS games. 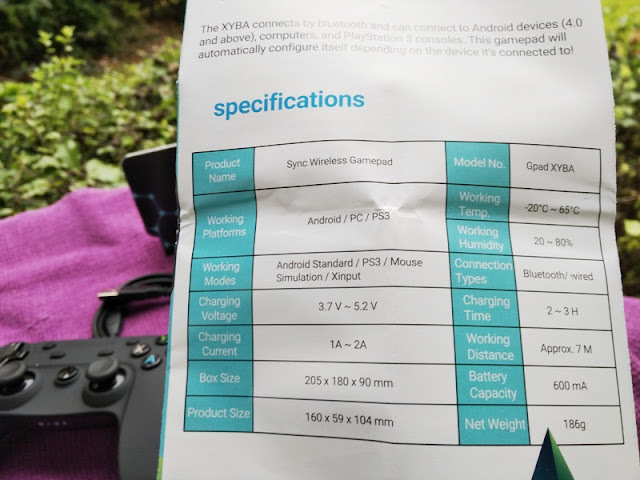 Another thing worth mentioning about the XYBA controller is that you don't need to install any drivers for games on Windows 10 so you won't have to download any MotioninJoy drivers. 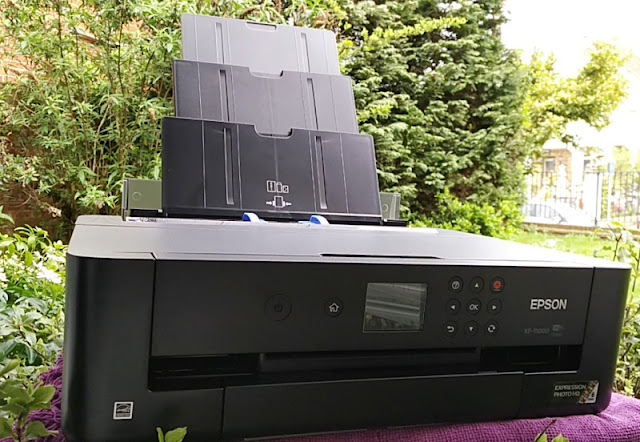 Matricom's Gpad XYBA also works with Emulation Station, PSX emulator and RetroPie which has several emulators installed like Atari 800 and Amiga UAE4All. When using different emulators, you will need to configure the buttons for each emulator. 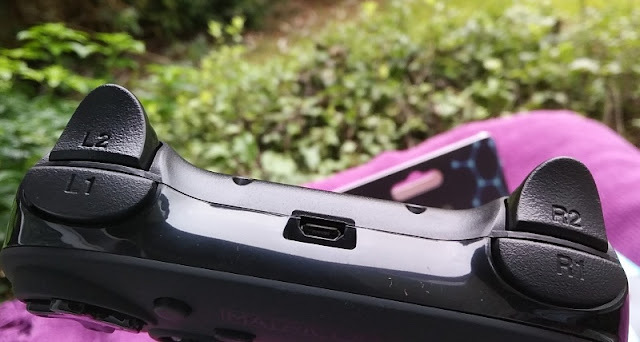 The G-pad XYBA controller also has a reset pinhole button on the back that you use should the Gpad XYBA controller become completely unresponsive. 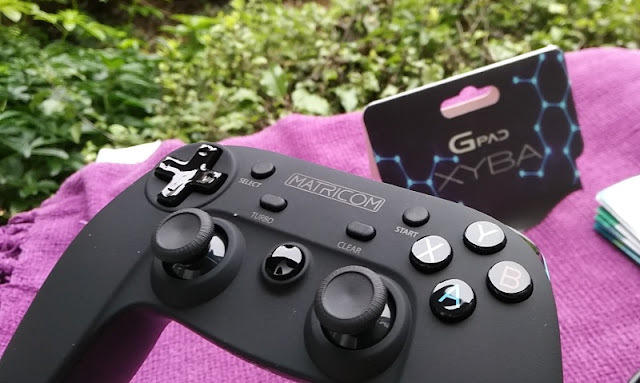 Pairing the Matricom G-pad XYBA is easy. 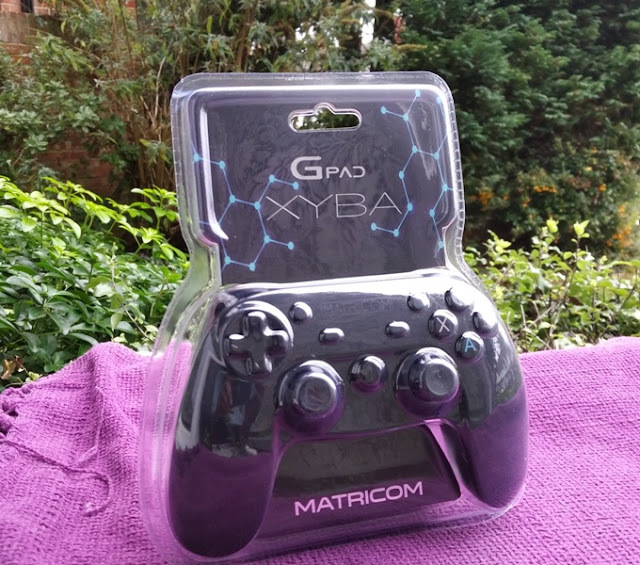 You can pair the G-pad XYBA to an Android phone and Matricom's G-Box Q3 Android TV box. 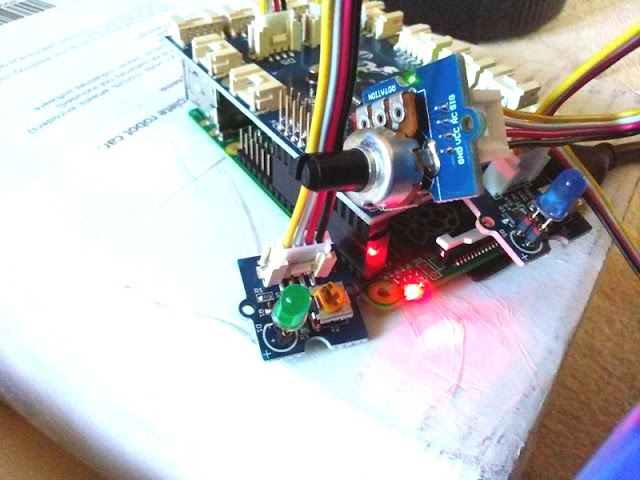 Simply press simultaneously the home button (M button) and A button until you see the red LED blink. 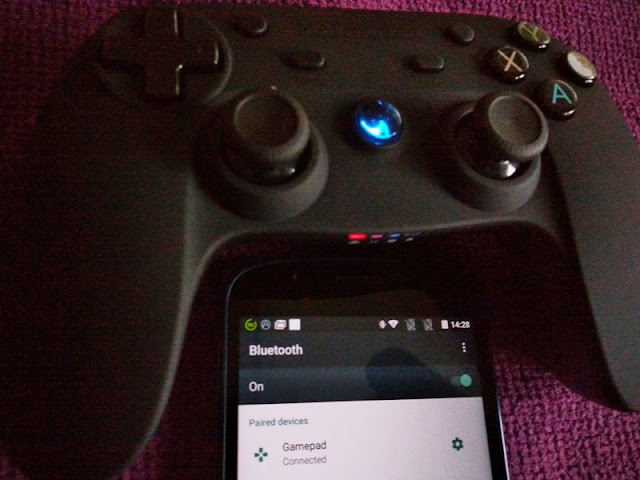 The word "Gamepad" will show up in your phone's Bluetooth devices available. Click on it and that's it. The Matricom G-pad XYBA is now paired. 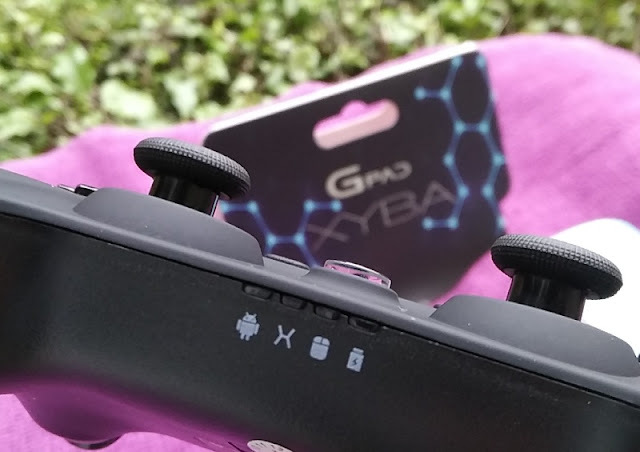 Before you can connect the G-pad XYBA controller to a WindowsPC/PS3 or Android device, you will need to change into their respective modes by pressing the M button and X button and toggle to either Android mode, or X input mode (for PC or PS3). 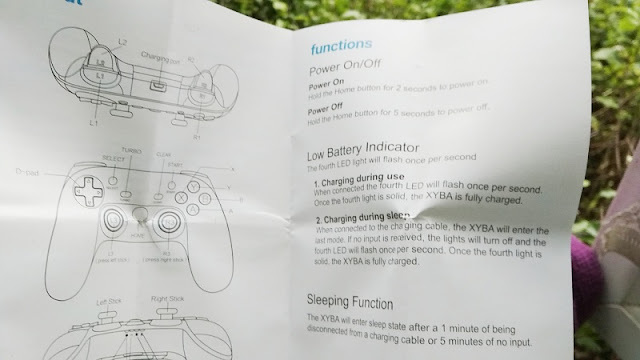 When using a Windows PC or Playstation 3 console, you will need to wire the G-pad XYBA controller via a USB cable for the XYBA controller to work. 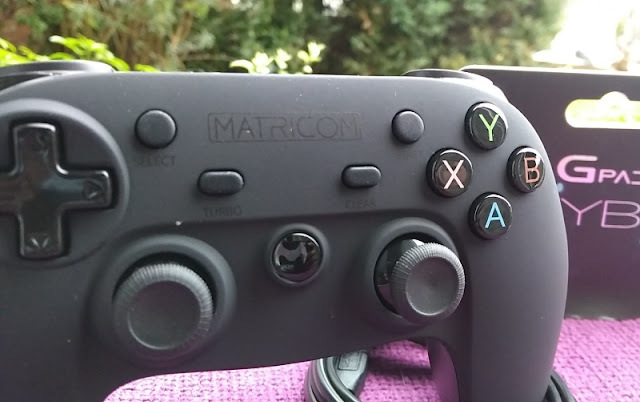 The G-pad has a third mode, called mouse emulation, which is entered by pressing the M button and A button. 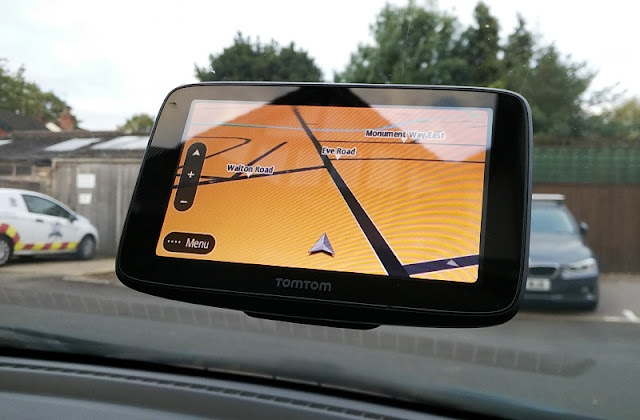 Mouse emulation allows you to use the G-pad XYBA controller as a mouse pointer, just like you would do with a real computer mouse so you can left, right and double click, as well as zoom the screen and scroll across the screen. 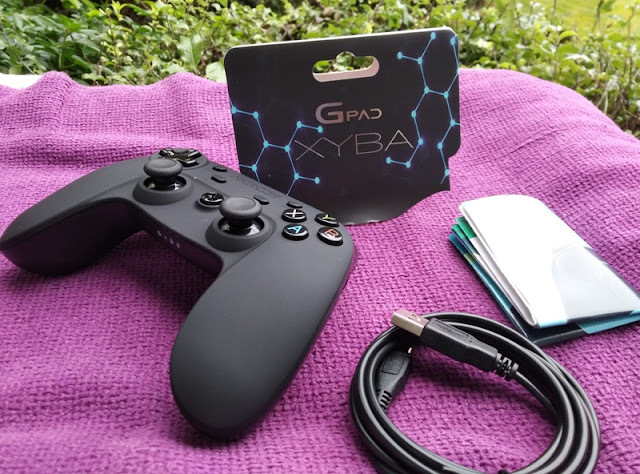 As an alternative to the Amazon FireStick, the Gpad XYBA controller is an inexpensive option for controlling a Second Generation Fire TV 4K.